After almost two months at Aman Sarai the students have been engaged in learning newer and more challenging skills and techniques. Our idea of EdTech learning focuses on combining collaborative learning with a diverse and holistic curriculum to help students reach a balanced, well rounded and critical personality. We believe in responding to their specific needs and never sidelining their unique traits. 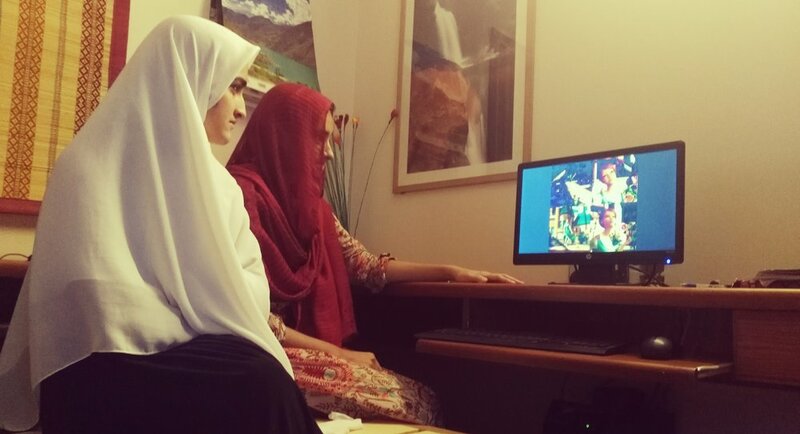 Starting with enhancing their language and communication skills, the girls are now beginning to explore the world of graphic designing as an alternate means of expression. At first starting with Paint and learning about the tools therein they have now progressed from these baby steps and are now working with professional designing softwares. With the least amount of guidance from their facilitators these girls are not only giving self learning a chance but also breaking records of their own expected performance. Starting a new course with little prior knowledge is not a challenge for them anymore; they immediately hop onto Google or Khan academy to clear any confusions. The greatest challenge that teachers and students face in the classroom of any lesser privileged school of a developing country is the constant need to boost each other’s confidence. Designing is a combination of skill and creativity; creativity comes in full form from an encouraged mind. Our student’s begin with editing designs and have now started to take lead in creating designs themselves. They are giving an equal chance to both technique and the genius of thier mind. Now from retro to pastel to antique; everything is created on the computer screen!